Miller Starr Regalia is a proud sponsor of the 2019 ICSC Monterey Conference & Deal Making. 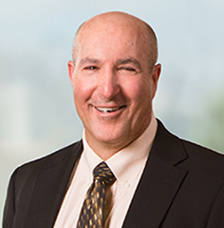 Miller Starr Regalia Shareholder, Michael Di Geronimo, will be speaking on the “Legal Update: Rethinking Center CC&Rs and Entitlements” panel from 2:15 pm to 3:00 pm on Thursday, March 7, 2019. As the retail industry evolves, the laws governing shopping centers are also evolving, causing attorneys to have to rethink how they approach shopping center deals. Come hear how legal developments are impacting the way shopping centers are "papered up": from deal points, to CC&Rs, to entitlements.